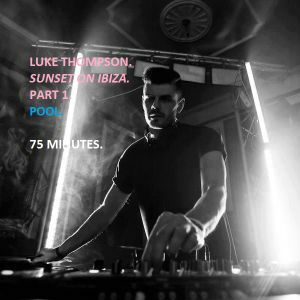 Luke Thompson - SUNSET ON IBIZA - Part 1- Pool. September 2015. Matthias Meyer, Nick Curly, Ebo, Eagles & Butterflies, Kydus and more. Sunset On Ibiza - 1 - Pool. This will be Part 1 of 3 mixes dedicated to the sounds, feelings & atmosphere of a day in Ibiza. Starting off with lounging around the pool & heading to the beach. KOLSCH / OXIA / PLEASUREKRAFT / DOSEM / DEETRON / UMEK / NICK CURLY / ADAM BEYER / PIRUPA / and more.